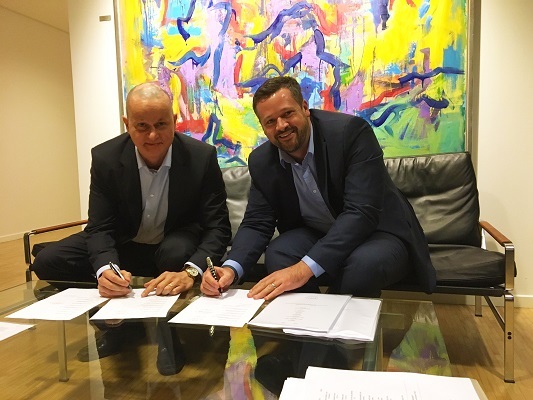 JT has reinforced its strategic commitment to expands globally by signing a partnership agreement with a Copenhagen-based company. A company that is at the leading edge of developing telecommunications software systems. NeoConsult has particular expertise in the ‘Internet of Things’ (IoT), which is the networking of smart devices. Thus, these devices communicate automatically and seamlessly with each other. Through this partnership, JT is gaining industry-leading software engineering capability. Therefore, allowing the company to continue to innovate in the IoT environment. By partnering with JT, NeoConsult gains a strong partner to further leverage its NOMAD platform. As well as a myriad of other development capabilities. NOMAD is an IoT workflow engine that allows businesses to run a large number of fully automated processes extremely quickly. JT’s Wholesale Division Managing Director Tom Noel said: “The Internet of Things is undoubtedly the most exciting area of growth for JT and the company is uniquely well positioned to deliver global IoT solutions through this partnership with NeoConsult. We are confident that JT can bring more complex solutions to our existing customer base with the support of NeoConsult’s software engineering expertise. JT continues to grow its revenues outside of the Channel Islands through acquisition and partnership. There are now over one million JT IoT SIM cards connecting devices worldwide. JT’s ongoing strategy is to become the partner of choice for global telecoms innovation. NeoConsult was founded in Denmark in 2001. It is a software and consultancy company servicing larger companies, as well as SME’s in Europe, with cutting edge development and architectural design competence. JT, (formerly Jersey Telecom), is a full-service Tier-1 global consumer and business enterprise provider with a 121-year heritage. Headquartered in the Channel Islands, JT offers a domestic and global customer base a range of world-class services including; voice and data; consultancy; co-location; leading-edge data hosting; internet; security; cloud back-up; fixed and mobile technologies; eGaming; M2M; Cloud Services (IaaS); fully managed IT services; and wholesale solutions. Across 11 global locations, JT employs over 600 staff providing products and services to over 1 million global consumer subscribers and 2,177 active business customers. Its recent success in winning the contract to build a system to host up to 25,000 users for a large US firm is testament to its far-reaching capability. JT has invested heavily in a resilient off-island network, helping robustly connect the Channel Islands internationally and support their place on the global business stage. Furthermore, in support of local domestic and business customers its award winning Gigabit Isles point-to-point fibre optic network programme, which is reaching conclusion in Jersey and progressing in Guernsey, has seen Jersey rank 4th globally for fibre connectivity. Also JT is planning further investment into delivering a new pan-island Advanced 4G mobile network. Therefore, JT is ensuring that the Channel Islands are one of the most seamlessly connected places in the world. As the Channel Island’s leading data hosting provider, JT’s facilities are widely recognised as the largest, most accredited and secure in the Channel Islands supporting international eGaming and finance industry customers. As well as achieving the Payment Card Industry Data Security Standard (PCI-DSS), JT’s 5 data centres are also SOC certified (Service Organisation Certification) and comply with the European standard ISO27001. JT has a vision to become the partner of choice for global telecommunications innovation and has built long-standing partnerships with some of the World’s leading communications businesses to deliver the products and services expected from a cutting edge Tier 1 telecoms operator. Notably, JT holds Avaya Platinum Partner Status, is a member of Dimension Data’s One Cloud Alliance and is a certified Cisco Service Provider.